Prestige Deck Coating is the most trusted Dana Point deck waterproofing contractor. Prestige Deck Coating is a Dana Point Deck Waterproofing Contractor located in Orange County Ca. We install top notch waterproofing material designed for decks, balconies and roof top decks. Also serving: Newport Beach, Laguna Beach, San Clemente, Irvine, Corona del Mar, Mission Viejo, Ladera Ranch, Capistrano Beach, San Juan Capistrano, Huntington Beach and beyond! If you don’t believe us, check out our testimonials page on our website. Our waterproofing experts have up to 30 years experience in deck coating and deck restoration. 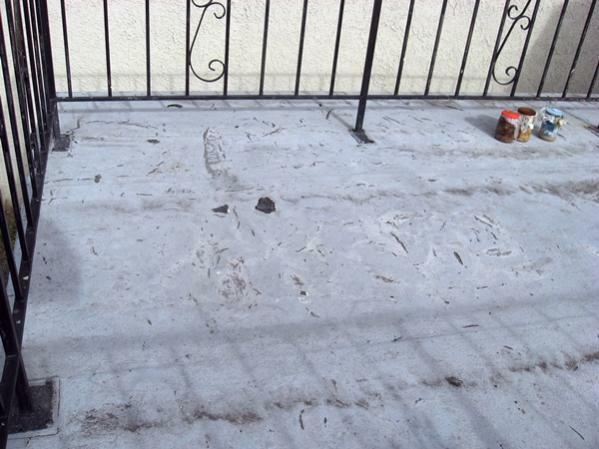 With experience like this, you know your deck will be resurfaced right. With the skill and understanding that we have on the subject of waterproofing decks, there is no reason to trust any other Dana Point deck waterproofing contractor in Orange County. If your deck is leaking or has moisture, it could affect the wood framing of your home. Whether your deck is leaking, cracking, not draining properly, or just needs resurfacing, Prestige Deck Coating in Orange County has you covered. Every deck is carefully inspected eliminating the problem at the source with an 5-layer waterproof resurfacing technique unlike any other waterproofing company. Each layer has a specific propose to keep out water and strengthen your deck, make your deck last longer. Our metal lathe system is first stapled to the sub-floor, then polymer-modified concrete is spread evenly across and bonds directly to your wood sub-floor, sealing out water. The fiberglass and bonder coating creates a perfect water tight seal over the polymer modified concrete. Our waterproofing company is different than most decking companies, we add a second coating of our polymer based concrete on top of our fiberglass and bonder layer to make certain your deck will not leak. The finish texture coat is carefully applied evenly across your deck using an air pressurized hopper gun, creating an even grip on your walkways, stairs and decks. Also two coats of our waterproof paint sealer protect your deck from UV rays and severe rains holding up in even the most heavy foot traffic walkways. 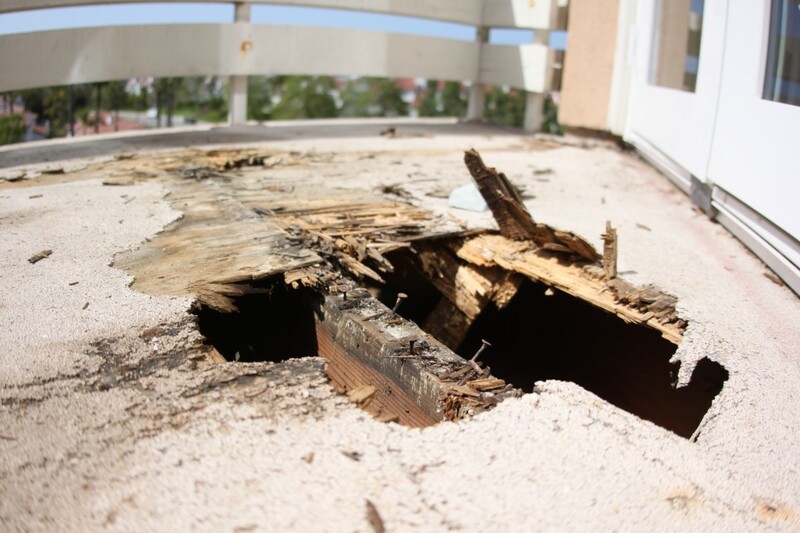 Decks exposed to the direct Orange County sunlight and heat can deteriorate faster than the average deck. If you are uncertain that your deck needs resurfacing do not hesitate to call us at 949-491-4880. We offer free estimates and our friendly estimator/inspector is always happy to stop by and check out your deck. Prestige Deck Coating is simply the best, most thorough waterproofing company in Orange County.